New York Times’ Biased Reporting on Antidepressants and Pregnancy Hurts Moms | Carly Snyder, M.D. Posted September 7, 2014 by Carly Snyder, M.D. We write on behalf of Postpartum Support International (PSI), the leading organization dedicated to helping women suffering from perinatal mood disorders, and to educating families, friends, and healthcare providers so that pregnant and postpartum women can get the support they need to recover. As a group, we are deeply concerned by Roni Caryn Rabin’s inaccurate and dangerously biased piece opens in a new window in the New York Times well.blogs.nytimes on September 01, 2014. Her article is likely to foster unnecessary fear among women who struggle with mood disorders who plan to become pregnant, are pregnant, or are in the postpartum period. The implication that women idly choose to start or to remain on antidepressants, such as Selective Serotonin Reuptake Inhibitors (SSRIs) or any other medication during pregnancy is insulting and demeaning. Women who, under a healthcare provider’s care, choose to remain on medication do so to counter moderate to severe depression or anxiety symptoms that would otherwise render them functionally impaired. Rather than refuting the Rabin piece line by line, we will simply address the key inaccuracies. Please refer to the PSI website opens in a new window for further information and for resources and referral options for those suffering from perinatal and postpartum mood disorders in the U.S. and other countries. The author has chosen to cherry pick studies to support her misguided, inaccurate hypothesis, and ignored studies that failed to find increased risks associated with SSRI use in pregnancy. Rabin failed to quote any reproductive psychiatrists, who specialize in this field and work on a daily basis with women suffering from various mood disorders before, during, and after pregnancy. Instead, she chooses to quote a non-physician, Dr. Urato, who lacks the psychopharmacologic training and experience necessary make such global claims. Statements made by Dr. Urato are inaccurate and amount to fear mongering. Regarding Rabin’s assertion that SSRIs result in cardiac problems in infants, studies have found that there is no relationship. One study, published in the American Journal of Psychiatry in 2008 followed over a thousand women (Einarson et al. Am J. Psychiatry 2008). The findings showed no increased risk of heart defects associated with Paxil. Interestingly, this negative study did not receive media attention. Furthermore, the FDA warning that was initially posted in 2005 regarding risk of cardiac defects associated with Paxil exposure in utero has not been changed despite the FDA recanting the warning in other press releases. A recent large-scale study published in the New England Journal of Medicine in June of this year concluded that the results of this large, population-based cohort study suggested “no substantial increase in the risk of cardiac malformations attributable to antidepressant [including Paxil] used during the first trimester.” (Funded by the Agency for Healthcare Research and Quality and the National Institutes of Health.)”. Huybrechts et al. NEJM June 2014. Ms. Rabin also quotes a Norwegian study by Skurtveit and suggests it is a definitive finding regarding language acquisition deficits in three year olds as a result of long term SSRI use in pregnancy. However, upon close reading of this paper, it is apparent that the findings are anything but certain. Instead, only 386 of 51,748 women surveyed (0.7%) used SSRIs during pregnancy, and of these, only 161 reported long-term use. This is a very small number of women and the results were marginal at best. Forming any conclusions regarding SSRIs during pregnancy is dangerous and inappropriate. Another risk referred to in the article is Poor Neonatal Adaptation Syndrome. A minority of babies experience self-limited symptoms of PNAS following in-utero exposure to SSRIs. To equate those rare cases to the withdrawal of babies from addictive substances taken by drug-abusing mothers is misguided and dangerously misleading and reveals a bias in the author. The PNAS and Persistent Pulmonary Hypertension of the Newborn (PPHN) study from 2006 quoted in the piece as definitive has been followed subsequently by many other studies that have clarified the risk to be quite small and not significant enough to warrant stopping necessary medication. There are further inaccuracies reported in Rabin’s piece. The risk of prematurity from exposure to SSRIs in utero is minimal at best. Studies found that mothers taking SSRIs might deliver one week early, which is still considered full term. Women are routinely under-treated for depression and anxiety during pregnancy as a result of unfounded fears, such as the ones propagated by Rabin’s article. Anxiety and depression are associated with an early labor. In terms of the risk of neurodevelopmental delays and autism as a result of SSRI exposure, there have been many studies that fail to show such associations. The research consistently finds that any potential increased risk is more likely based on the underlying psychiatric illness being treated, rather than the medications directly. While multiple ‘risks’ of exposure to SSRIs were highlighted in Rabin’s article, the well-established and repeatedly documented true risks associated with fetal exposure to untreated depression and anxiety were systematically glossed over. Depression during pregnancy increases the risk of prematurity 2-3 fold. Depression and anxiety during pregnancy also profoundly increase the risk of postpartum depression, which may have profound negative effects on both the baby’s and any siblings’ development (Pilowsky et al 2008). In contrast to this poorly researched, biased article that fails to inform accurately, the New York Times effectively documented the potentially devastating consequences for mother, baby, and family from under-treated peripartum and postpartum illnesses in the series of articles released in June 2014. 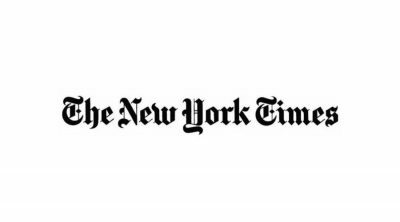 As an organization comprised of clinicians, researchers, families, and advocates who strive to help women, babies and families, the Postpartum Support International community is profoundly disappointed in the New York Times biased and inaccurate reporting. Women suffering from perinatal mood and anxiety disorders must be supported, and treated, not shamed. No clinician prescribes medication in pregnancy without an appreciation that the risks of the untreated illness are greater than potential risk associated with medication being prescribed. Women rarely choose to take medication during pregnancy if they can avoid doing so; however, pregnancy is hard on its own, and pregnancy for women suffering from perinatal mood and anxiety disorders can be painful beyond words. There is no excuse for such reporting that clearly seeks to dissuade women from getting the treatment they require. There are horrible stories in the news regularly that document the risks of untreated perinatal illness for mom and her children. Why these inexplicably sad outcomes cannot be seen as a reason for treatment is truly beyond comprehension. Yes, risks exist from exposure to SSRIs in pregnancy. However, these risks must be put in context and compared fairly with the potential devastating effects of untreated maternal illness. Such a risk versus benefit analysis occurs daily among women, their partners, and clinicians. Rather than condemning the choices made, it is about time for society to support these women and show compassion for the painful ordeal they are experiencing by virtue of suffering from a perinatal mood and anxiety disorder. This letter was originally published on Postpartum Progress opens in a new window.